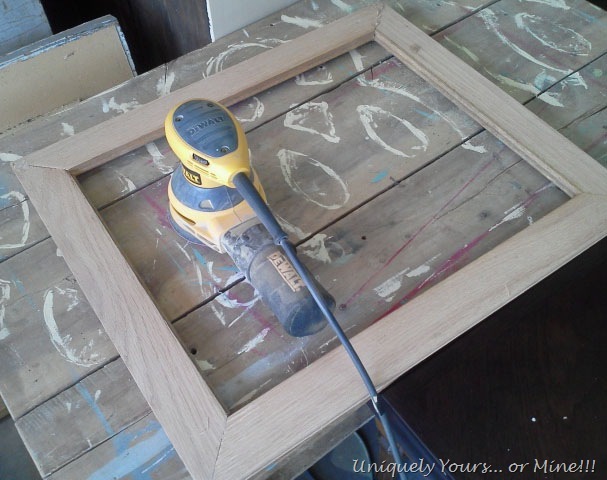 Making Picture Frames From Oak Flooring – Uniquely Yours… or Mine! My SAH cut the floor boards ends at 45 degree angles and used our new joiner to make holes in the ends for the biscuits to be inserted. We first put some wood glue in the holes, inserted the wood biscuit and just repeated the process until the 4 sides were joined to one another. We then used my VERY favorite clamp to pull it all tight (and square)… it is my frame clamp that I use for just about everything! LOVE IT!! 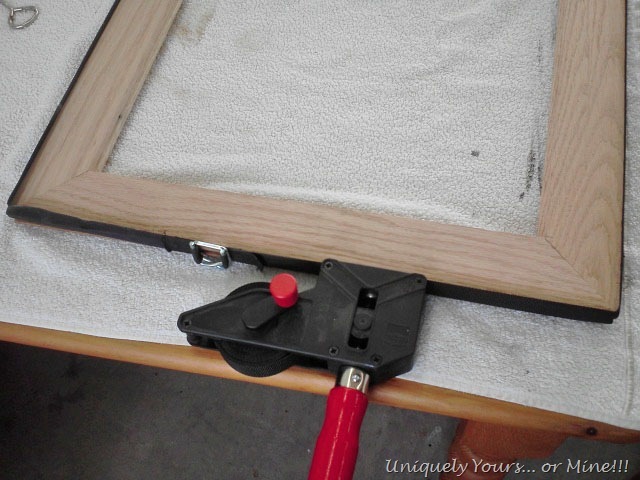 The clamp wraps around the entire frame and gets tightened with the red handle… I also use this clamp when I am repairing drawers. After the frame set overnight I filled the cracks with wood filler and sanded the entire frame with 150 grit sandpaper. 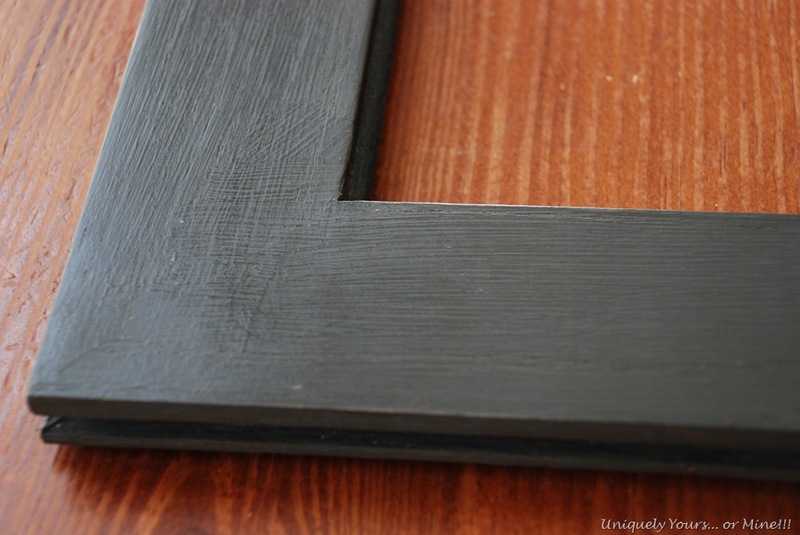 I used Valspar black paint on the inside lip (to give it some contrast) and then painted the rest of the frame with Annie Sloan Chalk Paint in Graphite. 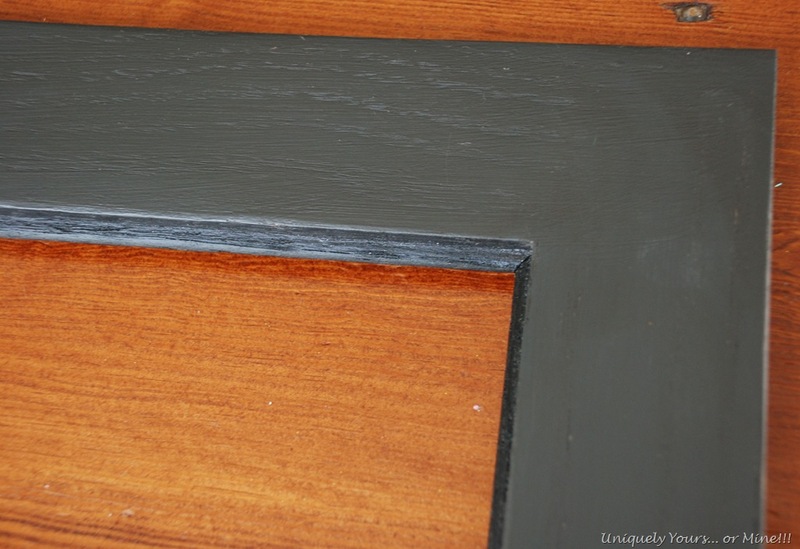 After the paint dried I lightly sanded it down and applied dark wax directly to the chalk paint surface. This helps darken the graphite color versus just using the clear wax. 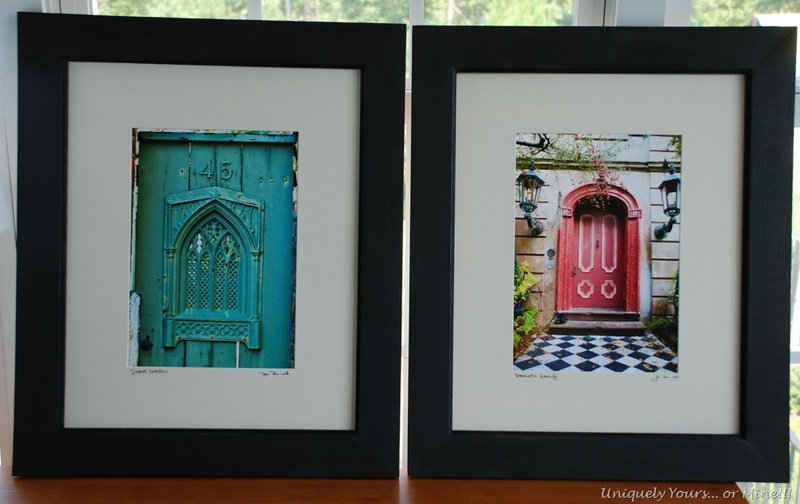 Here they are all dressed up with photos (not mine) and ready to hang… now I just need to find somewhere to hang them!? 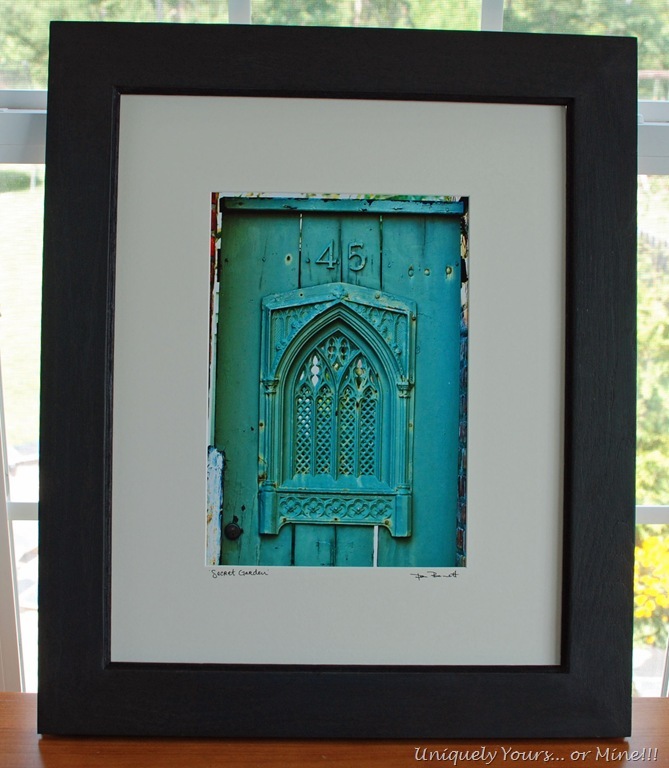 They are photos of doors of Charleston homes, I bought at a shop on Kings Street “Images” the artist is Don Bennett and he has some GORGEOUS photos!! The door above is very close in coloring to Annie Sloan Chalk Paint “Provence”… hmm.. no wonder why I fell in love with it immediately! Linking up to these parties! You may want to check them out too!! I love what you did with the frames but the pictures. They are gorgeous doors. I have a love for doors for some reason. Great choices. I love the frames and the beautiful photos! I’m a fan of cool doors too. I also have some leftover flooring in the basement. I might need to go inverstigate! love these and what a creative use of left overs…thank you for becoming a follower…really means a lot to me! Great frames!! 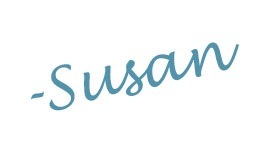 Found you from Savvy Southern Style!